The project I was put on was very interesting, but unfortunately mum is the word. In fact, here is a recreation of the confidentiality agreement I signed. 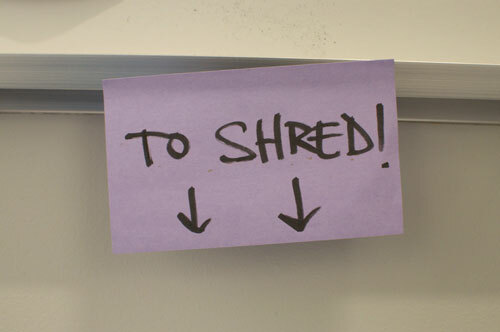 Luckily, nobody tried to put me in the "to shred" bin. The first thing I noticed, other than the white on white on white color scheme, was the incredibly friendly people. Everywhere I went, my orange contractor lanyard must have been screaming “make friends with me!”. I was greeted to and fro by the friendly inhabitants of the Zibasphere. After getting settled in, I needed to transfer my week’s worth of food that I carry everywhere to the kitchen. And oh! what a kitchen. Distinct bins for trash, recycling and compost. 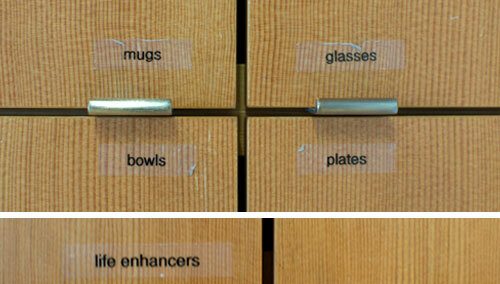 Cupboards discretely labeled so that even if I was in a hunger-crazed frenzy I would be able to find a receptacle for my meals. THESE ARE MY KIND OF PEOPLE!!! Wait a minute, now I know why everybody here is so happy...the life enhancers! Here are a few more observations from around the Ziba office that Fast Company probably didn’t highlight. 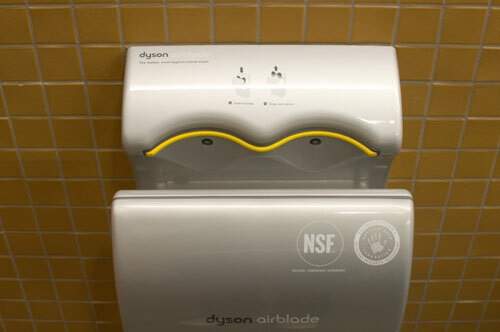 They take hand drying here very seriously with the Dyson Airblade ("the fastest, most hygienic hand dryer"), even though the machine is explicitly labeled "NSF•hand icon" (not suitable for hands). 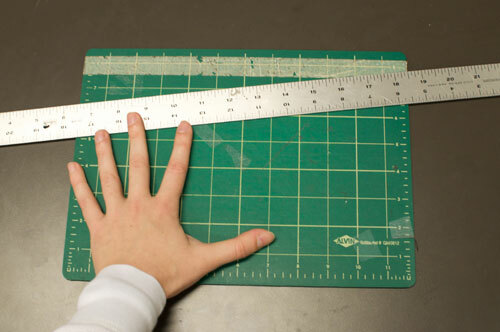 Honey, I shrunk the cutting mat! Even big companies have little cutting mats. 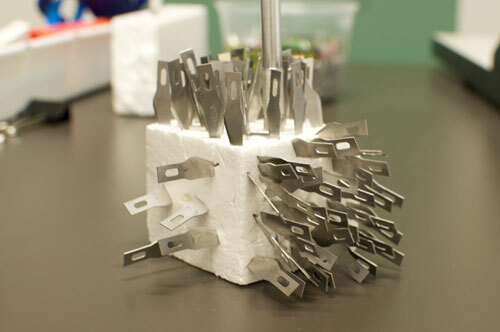 Exacto-blade organization: dull to the left, sharp to the right, in-between to the top. Or wait, maybe it's dull to the top, sharp to the left...who's on first? When it was all said and done, my six weeks had flown by in the blink of an eye. I packed up the accumulation of items that I had somehow managed to lug to work with me, said some goodbyes, and flew the coop. The things I carried. Left half: technology, right half: food. 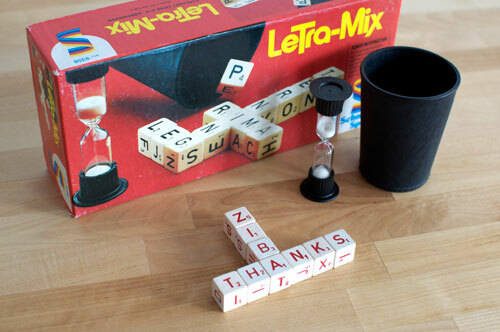 Before I left I managed to get a few people to play Letra-Mix with me. Until next time, Zibites! Man, you’re funny. I love your interpretation of the confidentiality agreement.